A lot of people are having fun with the convergence of those two holidays. Someone suggested that we should make hearts instead of crosses on our foreheads. 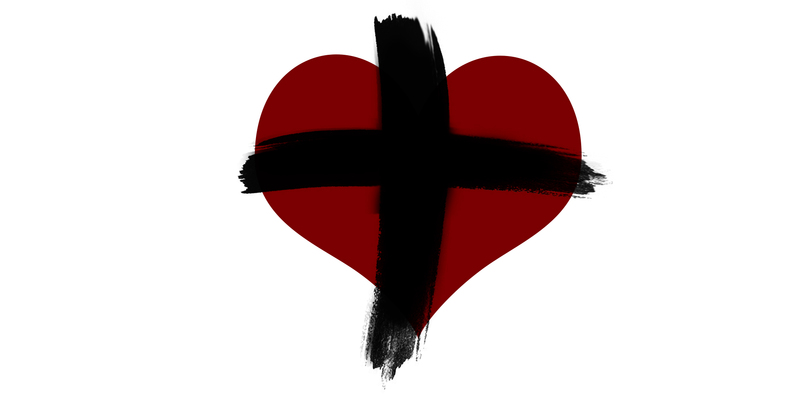 One clever person pointed out that the word “lent” is already a part of Valentine! I heard another one remark that lent is God’s valentine to us. But I have come to really appreciate the refreshing honesty of Ash Wednesday (“Remember that you are dust and to dust you shall return” = “Remember you’re going to die!”), and I have come to long for lent, a season that invites us to examine ourselves, to rethink life choices, and to rest in God’s forgiving arms. In fact, the season of Lent does more than invite me to discipline; it gives me occasion, even permission, to take time to think about my mortality and God’s love for me. There’s a part of me that laments making Ash Wednesday, Hallmarky and light. After all, there is a weighty seriousness to this time. No hearts today, please; I need those ashes. Those ashes are in the shape of the cross, and that cross is all about God’s love for me. It reminds that “God so loved the world, he gave his only-begotten son.” I have to admit, this is God’s valentine to us! This lent, keep making the sign of the cross. Go ahead and make the sign of a heart too. After all, God loves you!